Adesoji is a Talent Management Professional with over twelve (12) years worthwhile working experience which spans across Management Consultancy, Insurance, and Banking. He studied Political Science for his first and second degree at the University of Ilorin, Kwara State, and he is currently running his Ph.D. program in Public Policy Analysis in the Walden University, United States. 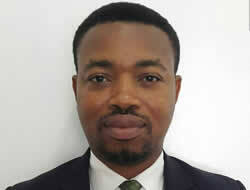 Adesoji is a member of various notable HR Professional bodies both locally and internationally. He is an Associate Member of the Chartered Institute of Personnel Management (CIPM), the Nigeria Institute of Training & Development (NITAD), and a certified PHRi professional from the HR Certification Institute (HRCI). He currently functions as a Learning & Development Professional in Heritage Bank where he has executed several organisational development projects.